We love a good book here at Nintendo Life, and they don't get much better than Read-Only Memory's Collected Works series, which takes an in-depth look at classic consoles. As a follow-on to the excellent Sega Mega Drive/Genesis: Collected Works there is now a Dreamcast book campaign on Kickstarter. Launched last Tuesday, it has already smashed the funding target. 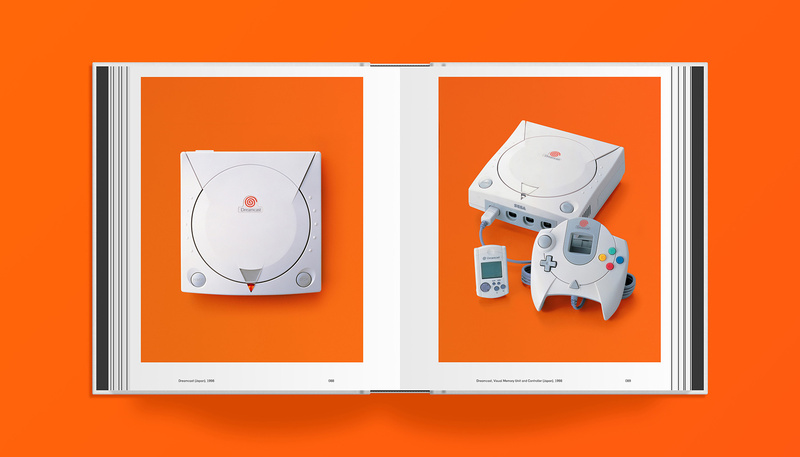 This large format, deluxe hardback will feature a collection of never-before-published materials and specially commissioned editorial, aiming to offer unprecedented insight into the creation of the Dreamcast console and its celebrated library of games. 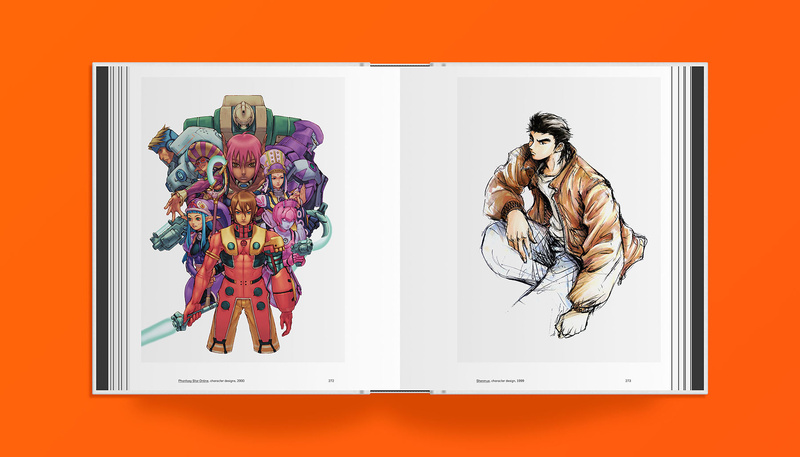 The book will also feature a variety of interesting pieces of history: manufacturing prototypes, photography of rare hardware, game development materials and game imagery. We'll be keeping our eyes out for this and doing a book review when the time comes. While the Dreamcast was of course SEGA's last console, it shares a fond spot in the hearts of many Nintendo gamers. Will you be backing this campaign? Some of those games were pretty good. @StuTwo Yep! I never got a chance to play some of the bigger games, sadly. No. This is not Nintendo news. Still waiting* for a proper PSO2--I'd even settle for a PSP3 on Switch, at this point. *And about 50 other games, SEGA. Just give us shenmue! One of the best games after. @ECMIM "I still bleed SEGA blue when cut, "
Do pachinko chips fall out, too? Read title as "Sega Dreamcast Collection looks like a dream come true" which led me to believe a Dreamcast Collection on Switch was coming for a split second. Darn. I've never had the chance to experience the vast majority of the games. If the VC does ever come back, I'd really like to see Sega support again (specifically Saturn/Dreamcast). My god, the Dreamcast is such an incredible console, with an incredible library, and I still am actively upset by the fact it died such a quick death. I so desperately wanted it to do well at the time that I bought multiple units to put into different rooms in the house, and even bought consoles and games for several friends. Both a brilliant last stand, and a tragic, undeserved death for Sega as a home console developer. It deserved better. But I'm glad that many, many people on the internet seem to share a love for the system. I remember the first 6 months PS2 launch lineup, technical issues and price point of the console being a complete waste of time. The fact that PS2 was only 50hz, only 2 controller ports, no online, no second screen, and cost £300 when you could buy a Dreamcast with 3 games brand new for £50 was just madness. They couldn't give them away. Sure the PS2 eventually had great games, but for those first 6 months or so I couldn't understand why people were buying them and ignoring such an amazing bit of kit that was so much cheaper, superior in many ways, and had a seemingly never ending stream of AAA games. Did the 32X and MegaCD really burn punters THAT much? @ECMIM Haha me too mate. I had (and loved) Nintendo consoles too, but the Master System, Megadrive, MCD, 32X, Saturn and Dreamcast still have some of my favourite games that I replay to this day. Lets not even get into the arcade games! Backed straight away, the Mega Drive book was absolutely superb so it was a no-brainer for me. Really wish they'd done a Saturn book instead though! Where's that 'take my money' meme? No one wants to look at good art in an ugly book. "Did the 32X and MegaCD really burn punters THAT much?" The business side of Sega is the case study for video games platform holders regarding what NOT to do. Crazy thing is, the creative side of Sega was putting out so many good games! Ahh the dreamcast such a great console, very short lived but it had some great and unique games on there. I stood by my dreamcast til the end, even when ps2 was around the corner and everyone was so hype for that -_- but i agree with the person above, ps2 didn't have ANYTHING i wanted to play for at least a year. I'm sure the built in dvd player was the major selling point especially at the beginning. @justin233 Yeah I also assumed this was a collection of DC games for the Switch. How boring. Who would spend money for a book about DC games?! It's 2017 people, you can just read about them online. Guess what, you can even watch videos of DC games online! Many of my friends were totally convinced by that launch of Rally, VF2 etc, although clearly not enough for it to properly compete with PSX anywhere but Japan. I was under the impression that those who actually bought a Saturn felt like they got their money' s worth though. I can understand people being mad at the short lifespans of the MCD and (especially) 32X however, those were only supported in a half assed manor by Sega, though I still love them for what they are. I have a lovely little Dreamcast packed away in the attic somewhere with some cracking games as well. It was a great system. Like others, I clicked here thinking this article might be about a compilation of Dreamcast games. Disappointing. While others may not share my personal opinion on this, I still have my Saturn and consider it to be the most vastly underrated console of all time. So many incredible RPGs and other classics that few gamers ever got to experience...and yet Sega has always treated it like an ugly stepchild they'd like to forget existed. The Dreamcast gets a lot more love from both Sega and gamers, but at the end of the day it was Sega's own ineptitude and internal meddling that cost the company its perch atop the industry's echelon. The Saturn probably reminds them more of that fall because it happened right after the success of the Genesis; it's no fault of the games on the system, I can assure you. @samuelvictor Definitely sharing the love, brother. Still one of my favorite consoles of all time, and I still have it hooked up to the TV, for the odd game every now and then. It had some of the most pixel perfect arcade conversions ever seen on any system, even to this day, and besides that, it has many, many other great titles, so there's something there for everybody. This book looks great, though. Can't believe I haven't heard of it before, being the Dreamcast fan that I am. Guess I'll wait and see how it pans out and if it's worth getting one. I loved the Dreamcast. In fact, it remains the only console I have ever bought right at midnight on launch day. I also liked the Saturn as well, despite awful business decisions and a sneaky, underhanded surprise launch that caught everyone off guard. Will track the book down and grab it! Meanwhile Sega, when are we going to see some Dreamcast hits on current gen consoles?? Cmon guys!! Super Famicom and Sega Dreamcast, my two favourite consoles ever. I backed this as soon as I saw it, it's just a shame they aren't doing guest reviews like they did with the SNES book. Apparently the book will only have the blue swirl logo in Europe to avoid the same copyright problems that caused Sega to change the swirl colour. Argh, the title of that article seriously made me think, for one glorious moment, that a Dreamcast Collection was heading to Switch! If you haven't played the Dreamcast, you seriously missed out! Skies of Arcadia, Marvel Vs. Capcom 1 and 2, Resident Evil Code Veronica, Jet Grind Radio, Shenmue (one of my absolute favorite games ever! ), Soul Caliber, Dynamite Cop, the only good version of Grandia 2, Typing of the Dead, Sonic Adventure, Crazy Taxi, the 2K sports line (far superior to EA).....it's sad that Sega will pump out Genesis Collection after Genesis Collection ("because that was Sega's best selling console." I'm well aware). The Dreamcast deserved to be far more than a mere footnote and, had Sega not burned their own bridges with years' worth of add-ons (I still have a soft spot for Sega CD, though) and overpriced consoles (Sega Saturn was a great console undone by it's own architecture and by a surprise early launch). Man, now I'm itching to go on ebay and spend a fortune on Dreamcast games! Thanks, jerks! LOL! Booted up my Dreamcast last week and put in an hour of Crazy Taxi. It's still freaking great seventeen years later. Now...to get into the 150 games I still haven't touched in ten years. D'oh! When I first saw this I immediately thought it was a "rare replay" type games collection. Makes me all the more disappointed its a copy and paste of a press release. Sega Dreamcast, first console I ever bought with my own money! I too desperately wanted it to succeed, my Dad bought me a Sega Saturn one Christmas, it's all I wanted. I even convinced some friends to get a Saturn despite the Sony PlayStation totally dominating it. I was gutted when it became obviously Dreamcast was not gonna survive. I have never & will never buy a PlayStation product lol. I still play my dreamcast,lol! I always make time for a forklift race and some darts in shenmue! Damn I saw the title and thpught the Switch was getting a Dreamcast Collection. Witg all this Dreamcast talk I might just have to finally install my gdemu that I picked up months ago. Cant believe I still havent installed it. My friend who help me for ordering my games from internet also has a Dreamcast. I saw it with my own eyes the machine, the controller and the games that he had. I'm not a SEGA fan but I felt sorry for Sudden discontinuation of Dreamcast. it was more than a split second for me. @justin233 you should be able to get a Dreamcast pretty cheap at a used game shop. I can get one for $25 to $50 at my local used games shops. @samuelvictor I still have some issues of Gamer's Republic and one of them did a large article on E3 one year and featured a bunch of Dreamcast games and a lot of PS2's launch games. They commented on how the DC versions of games like Soul Calibur and Dead or Alive 2 looked better than the majority of PS2's launch games. Jeez, you guys got my hopes up. Thought they were making a dreamcast classic edition. Yeah I think you have to separate the two sides of Sega. Just remember the systems for the games and they were amazing. The business side of it was hopeless. I agree a lot of Saturn users probably feel they got good value from it but I remember in 1998 there was a fair amount of anger at how quickly Sega dropped Saturn into the West. They pretty much said they were going to drop it at E3 in 1997 when it had only been out in the West 2 years. That was, in some eyes, 3 consecutive systems that hadn't fulfilled their potential. No matter how much they got right with Dreamcast (I remember being blown away by Soul Calibur, then blown away again when I played it on a VGA monitor!) they'd snookered themselves before it launched. Being a regular arcade goer in the 80s and 90s and a Sega fan mainly, this was the machine for me...loved it. So many good memories. 9.9.99 was an amazing day. Despite Dreamcast not having a big library, it's my most memorable system. Gah, always dream of seeing a Dreamcast2 some day. Anyway, I may be splurging on that JSR special edition. Looks awesome! Sega has such a great history in gaming. I would love Skies of Arcadia on Switch! Loved the Dreamcast. I got mine on launch day with Sonic Adventure and picked up Soul Calibur about a week later. I am still disappointed to this day that so many gamers jumped ship to the PlayStation brand. Sure, SEGA made some mistakes with 32X and the Mega CD but they made fantastic games on both console and arcade. All those great SEGA IPs lost to obscurity because of Sony's successful advertising and handling of the PlayStation, lol. Still love my Dreamcast to this day. The amount of attention my beloved console is getting recently is just crazy. Several days ago yet another game (Monaco Grand Prix 2) had its online mode restored, and can be played with other people online, several new indie games were announced (or released), and now this... way beyond awesome. <3 Long live the king! @SLIGEACH_EIRE Thanks for your non-useful comment! I might get it depending on the price of it. @SLIGEACH_EIRE If you don't like it...then leave. Non-Nintendo related articles like this are great! Plus reading all the wonderful comments on the Sega Dreamcast is awesome! Well except yours. @ThanosReXXX Oh yeah, the arcade ports were incredible. Still remember how amazed I was by Crazy Taxi, still looks and sounds amazing today, and things like Soul Calibur just blowing the arcade version out the water were astounding. Glad to hear that yours is still getting played, I've actually just got the keys to my new house, upsized to a much bigger one again, and have my own "man cave" room once more - just rebought a whole tonne of retro systems and a MAME machine, can't wait to hook up my DC But yeah its a shame about light guns, HOTD2 on DC is superb. @electrolite77 You are right, of course. Yeah, I was sad how comparitively quickly Saturn was dropped in the UK, what with a steady stream of great Japanese games still coming out that never got released here, but on reflection we still got titles like Quake, Duke Nukem 3D, Sonic R, Touring Car, HOTD etc coming out just weeks before Dreamcast arrived on shelves. Sure, 2 years support is nothing compared to the Master System and Megadrive, or even the PS1 and N64, but a darn sight better than the 32X and MCD. I think the problem was really that all these things had cost them a fortune and they had very little marketting money left over (and pee'd a load up a tree sponsoring Arsenal which both cost a whole tonne and alienated a lot of people). I have massive nostalgia pangs for the Dreamcast. I don't think a console has ever got me that excited about the evolution of gaming. I remeber playing Sonic Adventure on the Dreamcast collecting all the little animals for the Chao, and then transferring them to the removable save, then looking after them at school. God i was sad, but it made me so happy. It was all SONY's fault Sega fell apart, when the Saturn came out SONY bought out all the game developers for the Playstation. So the Saturn died even though it was more powerful, CPU and GPU, because the game devs were not there. So, they bought out the Dreamcast which had Windows CE built in (Most laserjet printers have this nowadays) which unfortunately also died a death. Suddenly Microsoft was bringing out a console, and the original Xbox Controller looked very familiar to the Dreamcast controller. Always regretted not buying a Dreamcast. They were going for £100. My life was pretty crazy then. Busy partying. That Arsenal thing was crazy. It didn't make any sense at the time. They got in trouble over their advertising as well didn't they, when the online services weren't actually working at launch? Ah well. Saturn I only bought in 1999 after it had faded away so just went straight into that brilliant library of games. It was only after I realised how much money they'd lost in 97 and 98 and how little chance Dreamcast stood. Brilliant machine brought down by Sega's mistakes and lack of cash. Sega made a terrible mess of the Saturn's design. No matter what it had on paper nobody could get that power out of it. Even really good Devs like Lobotomy hated it and preferred the PlayStation. @TheIronChimp You should get that GDEMU installed! It's great being able to just channel surf all your favourite DC games. I've got the USB-GDROM and removing the GD drive is really easy although you soon realise that most of the noise from the Dreamcast comes from the fan rather than the GD drive! @electrolite77 In a way, that was the best time to get into Saturn - there were a tonne of good games available and I bet they were all cheap to pickup second hand! And yeah, the Dreamcast advertising strategy made very little sense. All they needed to do was put the games footage in the ads, and put booths in game stores... games like Code Veronica, DOA2, Crazy Taxi etc made the competing PS1 and N64 titles of the time look antiquated. People forget that the DC was primarily competing with the PS1 and N64. It came out waaaay before the PS2, and was basically dead by the time the Xbox and GC came out. Dreamcast is an example of doing almost everything right and still failing. I say almost because Sega went with the GD-ROM instead of DVD. PS2 sold so many units based on it having DVD. Some people bought it simply because it was (at the time) a cheap, good DVD player. And meanwhile how many kids played that card to get their parents to buy them a new next-gen console? "Mom it has a DVD player too, so you can use it too!!" This was an odd console generation because it was really the first time a console had second feature that was a major selling point (how people used their PS1 to play music? That was no selling point) and I still believe Sony won that generation only because they decided to push the DVD format. @samuelvictor yeah I was buying games for £2 from Cash Converters. Had to sell my Saturn and N64 collections in 2002 when I was skint. Very upsetting to even think about TBH. Totally agree on their advertising being hopeless. A DC and a VGA monitor in 1999 was a generational leap from PS1 and N64. They used DVD well,no doubt. I still say it was the games that won it for Sony. I didn't buy one at launch but in the 2nd half of 2001 it got (deep breath) Gran Turismo 3, GTA 3, Jak and Daxter, SSX Tricky, Metal Gear Solid 2 (in the USA/Japan anyway), Burnout, Extreme G3, Tony Hawk's 3, Devil May Cry, Baldurs Gate Dark Alliance, Silent Hill 2, a Code Veronica port etc.etc. Gonna have it set up partly for business stuff - loads of filming, editing and audio equipment, desks etc along the one side, and I've just hired a 9-5 secretary/PA who will be using the desk area too (its a large room so we can both have our own areas. I'm her boss so she'll have to put up with my geeky stuff!). On the other side of the room, I will have wall to wall, floor to ceiling purpose built shelves to have all my books, trainers (on the bottom shelf, spend waaaay too much on Jordans tbh) and retro game stuff out on display, and the middle shorter wall will have a full sized MAME cabinet (2x 6 button SF layout) and a TV with retro consoles attached. Middle of the room is a huge custom Star Wars rug and excersize equipment. Literally just got the keys to the building yesterday and measuring for furniture etc tonight. Can't wait! As for the Sony monitor, they are brilliant, I used to have one. Best 14" display I ever used. Absolute bargain at that price too! Unfortunately nowadays I'm so used to using big screens that I can't really go back to one that small. I think my TV in the new room will be at least 40" - preferably 75-85" range, depending on the measurements of what space I have once all the furniture is in. Sure, I'll be playing my retro stuff in 4:3 but I'll also be watching films etc on it. @samuelvictor Yeah, the size of it kind of put me off too, but that was kind of the standard size for gaming screens back then, so it kind of fits the bill either way. @ThanosReXXX Thanks man. And totally, if you are ever in the UK please drop me a line! @samuelvictor yeah, I remember hearing about those games showing up on PS2. I never had a PS2, though. Did those games have anything over the DC versions? More characters maybe? @Koudai1979 No. they were straight ports, and without optimisation, with lower frame rates, and interlaced graphics. Plus in the uk they ran at 50hz and had ugly borders! Also any extra VMU screen content was removed but not replaced. Only extra content was Code Veronica had some extra fmv cutscenes, but they are pretty inconsequential and don't change the game or story in any meaningful way. Still great games, but clearly rushed inferior ports. @samuelvictor Will do mate, will do. @Koudai1979 I agree with @samuelvictor: these ports were probably hastily slapped onto the PS2, with next to no optimization, all to get even more titles than they already had, and to show people that were perhaps on the fence that "they also had those titles that the Dreamcast offered", but the Dreamcast was very easy to program for and easy to optimize, and the PS2 was not. Funny thing is that the same thing more or less happened in the next generation: when Microsoft had filled the gap of the Dreamcast and the first HD consoles entered the arena, the supposedly superior PS3 generally got the worst versions of multi-plats, because the games were made on Microsoft's hardware and optimized towards the Xbox 360's architecture. Sony once again chose to go with a weird chipset, so only a few of those multi-platform titles looked and performed better on the PS3, and only with their own titles could they make the hardware shine. So, looking back at the events surrounding the Dreamcast, it seems that these kind of issues were kind of a recurring thing with Sony back then. @ThanosReXXX @samuelvictor I never had a PS2 for very long. If I remember correctly it belonged to my youngest brother and he ended up selling it within about a month or two of getting it so I couldn't really compare for myself. I remember that DC was powered by Windows CE. I just thought CE was hard to program for because DC was the only device that I ever saw it on. @Koudai1979 On the contrary, Windows CE was very popular and used in many portable devices like palm pilots, netbooks and phones. Microsoft specifically programmed a custom version for the Dreamcast to make it easy to port across PC based Windows games using Direct X or Open GL libraries. Worms Armageddon and Tomb Raider the Last Revalation were two direct Windows ports for example. However, Windows CE was not the main OS of the Dreamcast, more like a development environment layer, and many developers found that programming with Sega's native language, libraries and tools was more efficient and allowed more graphically impressive games.This dual setup was brilliant as it allowed seemless translations of Naomi based arcade games, and high end PC games, both of which would have been near impossible on rival systems. As @ThanosReXXX says, the "emotion engine" chip for the PS2 and the "cell" processor for the PS3 were very powerful, but difficult to program for, custom chips which worked in unusual ways, which meant that it would take years before developers managed to get the most out of both systems. The Dreamcast, Xbox, and Xbox 360 all worked in very similar ways to standard PC technology, so developers were able to make more impressive games immediately. @shani you must not like print or read books but obviously from the way the kickstarter goal was smashed and immediately funded there are plenty of people who still like to both read and have an awesome collectors book. You can't find what's going to be in this book online which is going to have editorials and never before seen pictures and material. I myself have collected various collectors edition books with concept art & developer interviews. It's a beauty to behold art on page physically, not the same as looking at it online or printing it on a sheet of paper. these things hold value as well. I wouldn't be so quick to judge what tens of thousands of others find fascinating. For example I find twitch and watching people play video games boring af. I'd rather play the game then watch others play but it's clear hundreds of thousands seem to like watching other people play games, I don't judge. @MaSSiVeRiCaN I don't know where you're assumptions are coming from or why you would read into my comment that I judged anyone, but you couldn't be more wrong. I do like reading books. But only if they have something to offer (that I can't get elsewhere). E.g. why read a classic encyclopedia when there is Wikipedia (which is much more useful)? And while I find reading them digitally much more comfortable (in many ways), I do still read physical books from time to time. But I don't see the worth of a book about old games (yes, I bought Hyrule Historia, but it was actually not an insightful read at all). And what you wrote about streams (I totally agree) also applies here: why read about games when I could just play them (if I wanted)? That's why this kind of book is totally worthless to me. @samuelvictor Cool. Thanks for the info. @Koudai1979 No problem. I'm a huge Dreamcast fan, but I'm the first to admit that the PS2 was a way more powerful machine, with some amazing games in its later life. But because it was so difficult to learn to program, it took 18 months or so before there was any evidence of that extra power whatsoever. Dreamcast games wiped the floor with early PS2 titles... A bit like how 360 games were initially better than PS3, even though Sony had the more powerful hardware on paper.